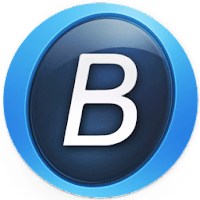 MacBooster is an easy-to-use and all-in-one system maintenance utility for Mac OS X, which designed from scratch to help you free up more hard drive space, protect you from potential threats, and speed up your Mac to make it run like new. It allows users to keep a clean, fast and protected machine in simply one-click. With just a few clicks, the program allows you to clear out junk files in the system, detect and remove malware and virus, identifies big or duplicated files that take up large portion of hard disk, and to uninstall unwanted apps that won't easily go away. Moreover, with the Defragment and Memory Cleaner, Macbooster 5 can increase Mac performance from top to bottom by fixing disk permission and releasing occupied RAM. Integrated with an enlarged malware and virus database, it's able to provide a reliable security solution while facing potential threats. Lite (for 1 Mac) - lifetime protection and full system clean & boost. Standard (for 3 Macs) - same features as Lite plus real-time protection, malware removal and full system clean & boost. Premium (for 5 Macs) - same features as Standard plus 7x24 customer support. You may need to purchase a new life-time (No time limit) license for MacBooster 7.0 (It seems that previous life-time licenses are valid only for their respective versions 1, 2, 3, 4, 5 & 6) - posted on IObit forum. Disclaimer: Direct downloads for the lastest version of MacBooster 7.2.4 are provided by the official software's author, we can't guarantee safety, availability or download speed. Moreover, we don't and we won't provide any pirated/illegal versions or tools. We recommend you to avoid it as these methods can harm your device. If you like the software, buy it to support the developers. (We provide software discounts for many worldwide brands).